Adventures of a Thrifty Mommy: Mike the Knight: Magical Mishaps! Review and Giveaway! - CLOSED! Mike the Knight: Magical Mishaps! Review and Giveaway! - CLOSED! 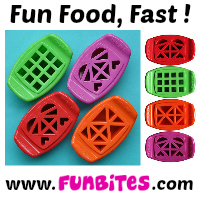 ***This is a sponsored post, I was given the product(s) mentioned in exchange for this review. All opinions are my own! Earlier this month, NCircle Entertainment released a brand new DVD for Mike the Knight fans entitled Mike the Knight: Magical Mishaps! My son Sam is a big fan of this program and was thrilled to receive this DVD. 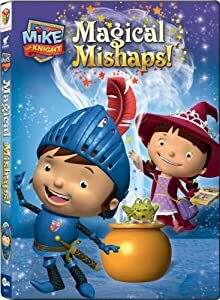 In this DVD, Mike's sister Evie, who wants to become a wizard, uses spells to try and help Mike with his Knight missions. Well things don't go as planned - hence the title "Magical Mishaps!" This is a really cute DVD and all of the daycare kids enjoy watching it as well! While Mike is training to be a knight, his younger sister Evie wishes to become a wizard. Accompanied by her pet frog Mr. Cuddles, Evie uses spells to help Mike with his missions, but a series of magical mishaps occurs: Galahad is covered with polka dots, the Throne Room gets filled with dirt, and Sparkie and Squirt disappear when Mike accidentally wishes them away. Though Evie does her best to help, Mike thinks his missions would be better solved using his knightly skills! You can purchase Mike the Knight: Magical Mishaps on Amazon for only $9.99! Thanks to NCircle Entertainment, one lucky Adventures of a Thrifty Mommy reader will win a DVD copy of Mike the Knight: Magical Mishaps! Click "Read more" and follow the Rafflecopter directions to enter. We are huge fan's of Sid The Science Kid here at our house. I like the sid the science kid DVD! Thanks so much for the fantastic giveaway! I'd like the Cat in the Hat: Tricks & Treats DVD. we love all the activities! Room on the broom is awesome too! Any of the Sonic DVD's would be cool!